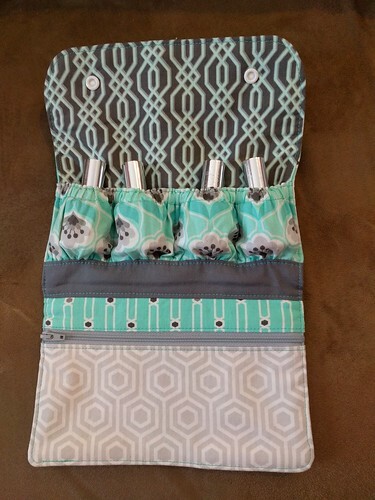 Anyway, this was a super fun project to make and especially fun to find coordinating fabric to use. 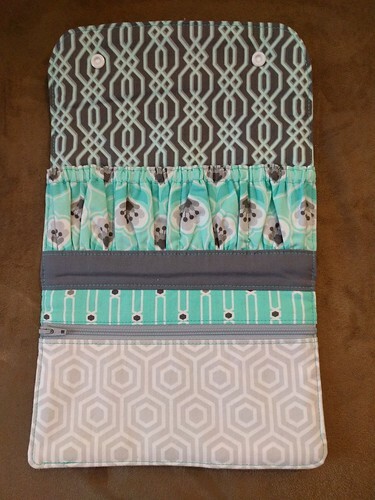 I took the easy way out and used one line of fabric, but if you have smaller cuts of fabric you might be able to use them up by mixing and matching. It actually looks harder than it is because of the ruffles, but there is elastic that naturally makes them. I do recall that the topstitching wasn’t easy because of the thickness of the layers, but if you just take your time and use a topstitch or microtex needle, you will be fine! My only complaint is that it lays perfectly with nothing in it, but with nail polish, it kind of lays funky. But, overall, it’s still worth making. And it’s a free pattern, so you really can’t go wrong. I was thinking about making one for myself, but haven’t gotten around to it. 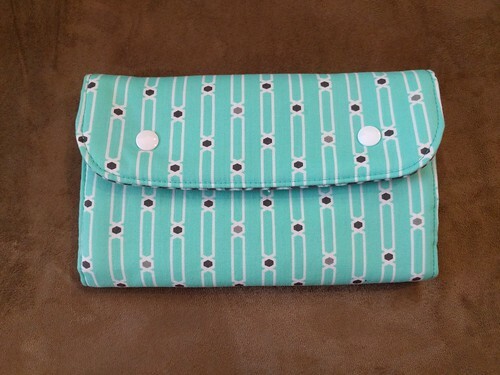 Instead, I made myself a wallet, which I’ll put on my list to blog about next.